Each year the National Garden Bureau selects one annual, one perennial, one bulb crop and one edible as favorite crops of the year. Plants are chosen because they are popular, easy to grow, widely adaptable, genetically diverse, and versatile. This year they have selected the Snapdragon, the Dahlia, the Pumpkin and the Salvia Nemorosa. My father grew lots of dahlias, ranging in color, form and size from a pompon; around 2 inches in diameter, up to a 15 inches known as a dinner plate. We enjoy growing the dahlias and find them addictive; it’s hard to grow just one. The native dahlias found in the mountains of Mexico and Guatemala is the genetic source for the modern hybrid dahlias we grow today. About 200 years passed before dahlia seeds, roots, and plants found their way to Spain and other parts of Europe. The Madrid Botanical Gardens named the genus for Andreas Dahl, a Swedish botanist, and student of Carl Linnaeus. Initial breeders of dahlias were more interested in the dahlia as a food source since the blooms at that time were not particularly noteworthy. In 1872 a new box of dahlia roots was sent from Mexico to Holland and the only surviving tuber produced a brilliant red bloom with petals that were rolled back and pointed. Breeders today propagate new cultivars using various techniques and creating fantastic new colors, shapes and plant habits that perform well in the garden. There are 42 species and about 20,000 culitvars of dahlias. The plant is a tuberous plant and is in the family of the sunflower, daisy, chrysanthemum, and zinnia. There are several ways to enjoy your first dahlia. Most major garden centers sell dahlia tubers. A tuber looks like a sweet potato that grows under the soil surface and sends up strong stems. The tubers can go directly into the ground in the spring when the ground is warm and there is little chance of frost. One good guideline is to plant at the same time as you would a tomato. If you want blooms as early as possible, you can start the tubers indoors in good light about a month before planting time. By starting early you could have a small plant ready to transplant at planting time. Dahlias require a site with good drainage and partial to full sun. Most dahlias need to be staked to avoid falling over at maturity. Best practice is placing the stake prior to planting to avoid damaging the tuber and roots system. Tomato cages can also be a simple approach to staking. Plant the tuber according to the package directions with the “eye” on the tuber facing up. The eye is the point on the shoulder, or crown, of the tuber from which the plant grows. Small dahlia plants are susceptible to slug damage. It is a good idea to manually remove slugs or to protect them with a commercial slug killer. Japanese beetles seem to enjoy dahlia blooms just when they are ready for a bouquet. One of the best methods of control is to manually remove the beetles and drop them into a bucket of soapy water. If other insects become a problem you might want to consider using an insecticidal soap or a commercial pesticide. Dahlias are low on the deer’s list of favorite foods. While dahlias are not deer-proof, they are deer resistant. Dahlias do not need a lot of water; in fact, excessive watering early in the season can lead to rotting. In containers, dahlias will require more water because of their limited soil volume. Dahlias will generally benefit from regular treatments with a water-soluble or granular fertilizer. You should stop fertilizing later in the season or about the first of September. Can’t wait to see them sprout this spring! 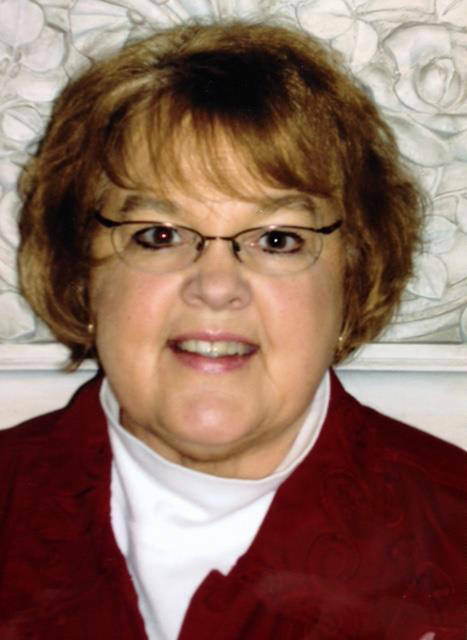 Charlene Thornhill is a volunteer citizen columnist, who serves The Daily Advocate readers weekly with her community column Along the Garden Path. She can be reached at char.donn.thornhill@gmail.com. Viewpoints expressed in the article are the work of the author. This entry was tagged Along the Garden Path, Column, Opinion. Bookmark the permalink.